If you have been on the Internet in the last week, you might have heard of the game ‘Apex Legends‘. And in case you are wondering why you did not hear of this name before, like we do for most titles before launch, Electronic Arts aka EA (publisher of the title) decided to keep it under wraps till it was officially made available for everyone. Interestingly enough, Apex Legends is an expansion of the brand’s already existing Titanfall series and not a new series on its own. So wondering why then Apex Legends is breaking the Internet? Well, we’ve got you covered. Let’s get going. Is Apex Legends a new take on battle royale genre to take on PUBG and Fortnite? What’s the hype about? 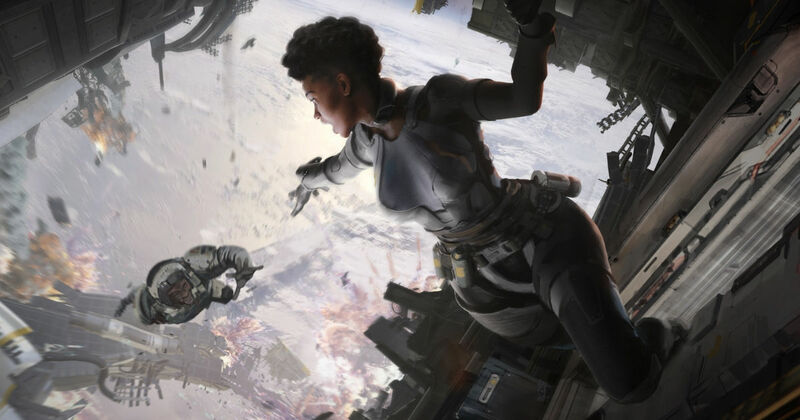 Apex Legends managed to surpass 10 million overall players and 1 million concurrent players within just last week. Epic Games’ Fortnite was the last game that managed to generate this amount of public interest and considering that Apex Legends has just hit the ground running, there are no limits to its success just yet. It comes as no surprise that the game borrows some of its elements from the most successful gaming titles in the pas few years. It almost feels like EA decided to pick the best aspects of the most popular games and combined all of them to form a winning recipe. For example, Apex Legends falls in the same battle royale genre that has ruled the gaming industry in the last one year. Moreover, the new title from EA is also a free-to-play title, just like Fortnite. Although Apex Legends mobile versions aren’t available yet , the game was launched simultaneously for the Xbox One, PS4, and PC. The wide availability and the fact that Apex Legends is free to play has helped the brand achieve a wide player base within a matter of days. If you are wondering how the company is planning to make any money, there are still in-game purchases available for the game. There are skins that can be purchased for the characters as well as the weapons inside the game. This might remind you of PUBG and Fortnite. But the similarities don’t end there. EA’s latest also takes some of the elements from Overwatch, another successful title. Just like Overwatch, you can choose characters according to their special capabilities and each member of the team makes use of their respective abilities to help the team win the match. Again, like Fortnite, the company is planning to push out season updates to the game to keep it fresh. As per the dedicated website, the new seasons will bring along new Legend characters, themed loot, and new weapons. The events in the Apex Legends take place thirty years post the sequences in the Titanfall 2, which was the last entry in the series. This is strictly a multiplayer game and has no single player elements or campaign mode, if you are looking for them. Players play each game session in teams of three and there are up to 60 players that play in a single session on the map. Just like other battle royale games, the safe zone on the map continuously decreases in size and in order to not be killed by this zone, players need to reach the respective area in a given time. Players need to loot items from the map itself and do not land carrying a weapon beforehand. As mentioned earlier, players choose one of the eight hero characters aka Legends before the session starts and each of these characters possesses special abilities, which can be either defensive or attacking. It is a pure multiplayer game. In teams of three players each, up to 60 players start simultaneously on the map without weapons and ammunition and select one of eight hero characters before the start. Each character has three abilities, one of which is the ultimate ability that’s not permanently available. Players battle out each other and the last remaining team wins the session, which isn’t different from other games in the genre. Notably, you can purchase cosmetic items from the in-game store but none of these elements gives any gameplay advantage to the players. So pay-to-win situation has definitely been avoided by EA over here. The first thing you will probably notice about the Apex Legends is that the game is only played in first-person mode, unlike PUBG and Fortnite. If we talk about graphics, again, the game looks more realistic than Fortnite, but not as realistic as PUBG. There are cartoonish graphics elements in the game, which make it visually more similar to Fortnite than PUBG. However, we should warn you that the game is demanding and if you are planning to play it on PC, make sure that your rig meets the requirements, before you install it. Although Apex Legends is a cross-platform play, which essentially means that the players from across platforms can play in the same gaming session, the said feature is currently not available. The company has however, shared plans to eventually make this a reality. Apex Legends has currently been made available for PS4, Xbox One, and PC via Origin by Electronic Arts. If you are on either of the gaming consoles, you can go to the respective store and download the game for free. If you want to play Apex Legends on mobile, we are sorry to tell you that Apex Legends for Android and iOS is said to be coming down the line, but we don’t have an official timeline for the ports as of now. The gaming industry is extremely dynamic and the studios that fail to adapt to the changing demands from the gamers usually find themselves struggling, despite having some successful titles under their belt. A couple of years ago, PUBG might have made the battle royale game category popular but there is no denying the fact that Fortnite has now redefined this gaming genre. Can Apex Legends dethrone both PUBG and Fortnite? It’s too early to say anything right now but the solid start from the game and the backing from a major studio like EA can definitely go a long way in doing so. If Apex Legends turn out to be a huge hit for the company, we might see a similar strategy (free-to-play with in-game purchases) applied to more gaming titles going ahead. Let us know in comments if you are excited about Apex Legends or not.